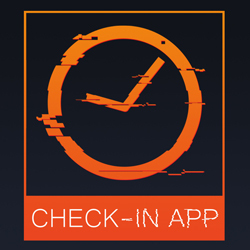 Ember Glitch is a game studio situated in Utrecht, The Netherlands. We are a dedicated and talented young team with the capability to work flexibly and multidisciplinary on every project we take on. 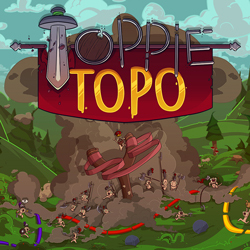 Currently we are working on two different games, Toppie Topo and Bloodbag (working title). For more information about these games visit the projects page. Throughout our education at Grafisch Lyceum Utrecht we kept thinking and talking about creating our own company after graduation. So as soon as we had graduated we took the first steps of this great journey. In November 2017 we finally moved into our office and Ember Glitch was born. We are convinced that gaming is one of the strongest mediums to tell stories and drag people into a completely different world. Therefore we started a quest of our own to let people explore magical places they never visited before and amaze them with our stories and visuals. My name is Rufilius van der Sloot and I am the game and level designer at Ember Glitch. I am also responsible for the management of the company and the public relationships. I have always had the dream to start my own game company. At Grafisch Lyceum Utrecht, this dream turned into concrete ideas when I met the other team members of Ember Glitch. I am grateful that I have found such a talented team to work with. The many travels I made around the world are the biggest source of inspiration in my work. It feels amazing to visualize a scene in 3D from a great memory of old times. Feel free to contact me via one of the media linked below. My name is Simon van Strijp and I am the 3D artist and animator at Ember Glitch. In our workflow the 3D artist also textures the created assets. An affinity towards drawing and creativity is something I always had. That is why, Like the rest of the team, I did a four year study at het Grafisch lyceum Utrecht to learn the basics of Game Art. During this study I took two different internships, the first at Team Reptile. The second at Sticky Studios. Rufilius and me were always thinking of setting up our own company after our graduation, When the rest of Ember Glitch came on board that dream started to become a reality. Now I create the ingame 3D art, texture and animate. I also supervise the 3D internships. You can contact me with the social media links on this page, feel free to ask me anything. My name is Ab Wienk and I work as a concept artist at Ember Glitch. In addition to developing and designing all of our concepts, I also design the UI and create 2D animations. 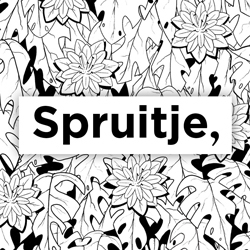 I started drawing concept art at Grafisch Lyceum Utrecht. In my third and fourth year I worked as an intern at Guerrilla Games, where I learned the professional tools of the trade. After my graduation I wanted to start my own company with all the knowledge that I had gained. Feel free to contact me on Linkedin or through my other social media pages. My name is Jesse van Leeuwen and I work as a programmer at Ember Glitch. My work consists of realising game mechanics and systems. I graduated the Grafisch Lyceum Utrecht in 2017 as game developer. I started programming to be able to work on different kind of projects from entertainment games to interactive game experiences. In my third year I worked at Hibernate Studios as an intern and in my fourth year I had an internship at Monobanda play and worked as a freelancer for Monobanda-Play. At my internships I gained a lot of knowledge about solving problem more creatively and thinking out of the box for different ways of giving feedback to users. My name is Quint Vrolijk and I am a technical artist / 3D artist at Ember Glitch. My main job is to make sure everything in our games looks and acts as it was intended. I also assist the team with the asset production and asset creation tools. For the best result I always want to iterate as much as possible and keep my working space organised, because one click extra is one too many. You can get in touch via Twitter, Steam or Discord.